« Let them eat pie! 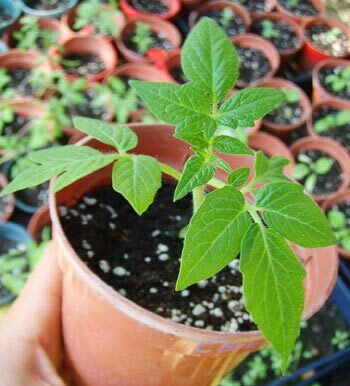 Heirloom tomato seedling ready for transplanting into your garden. Photo by Muriel Olivares. We’ve prepared a really nice selection of our favorite varieties, mostly heirloom, grown in 65% homemade compost and 35% sphagnum peat moss. NO chemicals, NO pesticides. All plants are in 4″ re-used plastic pots. $4.00 each, every 5 get one free! All seed packets are $3.00 each. Bring boxes, carts or bags to carry your seedlings home. *There will also be a small selection of seeds for sale. These are plants that grow very well in our climate and most of them make good cover crops. SWEET! Thanks for posting about the seedling sale Marion.